Putrajaya should revise the compulsory Goods and Services Tax (GST) threshold to RM1 million instead of RM500,000 or risk seeing smaller businesses struggle because of the administrative burdens and hefty fines imposed as a result of delayed registration, a DAP lawmaker said. Kluang MP Liew Chin Tong said it was unfair to expect all businesses with daily transactions exceeding RM1,600 to register for GST implementation as required by law. “I would argue that the implementation of GST hurts small traders and businesses, as the RM500,000 annual transaction threshold is just way too low,” he said in a statement today. He said many businesses might have a sizeable number of transactions but it did not mean they made a huge profit from it. “It should be clear that transactions do not necessarily translate into income,” he said. He suggested that the threshold be set at RM1 million instead of RM500,000, with the Companies Commission of Malaysia playing a role to help create a “near-automatic registration process”. The deadline for registration passed on December 31, 2014, and failure to register results in a notice to register within 14 days or a penalty and automatic registration, as stated under the Goods and Services Tax 2014. “The quantum of fines will be higher as the implementation deadline approaches,” Liew said, referring to a statement by Customs Department director-general Datuk Seri Khazali Ahmad. Khazali had said the fine ranged from RM100 per day for those who registered between January 1 and 20, and RM150 per day for those who registered between January 21 to February 9, with an increasing quantum the longer the delay. 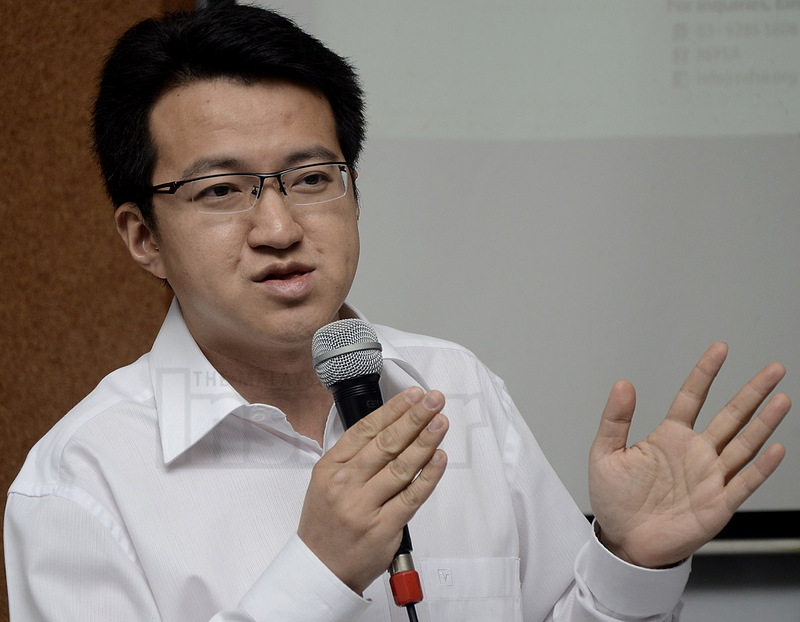 “Prime Minister Datuk Seri Najib Razak should instruct the Customs Department not to enforce such punitive measures and to take an education approach instead,” Liew said. He described the compulsory manual GST registration for smaller business entities as “unnecessarily draconian, troublesome and inefficient”. “Many small businesses will now have to pay exorbitant fines due to the hasty implementation by the government without sufficient time for the registration, briefing and preparedness adjustments to take place,” he said. He noted that it took several months for businesses to register, train staff and change software processes to comply with GST requirements. Additionally, businesses had to change their financing documents to tax invoices, convert tax accounts from yearly reporting to quarterly reporting and reconfigure pricing. “[There are] numerous other minute details that come along with GST implementation,” Liew said. Small businesses could ill afford the fees charged by consultants and accounting or tax firms to help them make the transition, he added, besides the cost of updating and upgrading software and paperwork and retraining employees. Liew also questioned the RM17 million Putrajaya had spent on “pro-GST publicity and propaganda”, asking whether small business owners, especially those in rural areas and with lack of access to media, were equipped to make the transition to the tax which will be implemented on April 1. – January 24, 2015.